Figure 1. Teeth numbers diagram. The human teeth is composed of 16 upper teeth and 16 lower teeth. They are also divided into four quadrants. This article explains the teeth number and names used in the US and Mexico. 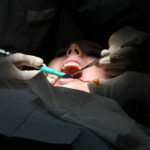 Have you ever struggled reading your dental treatment plan from your local dentist? Sometimes, it feels like deciphering a difficult table from a college statistics book. 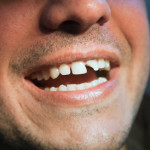 Surveys show that most patients have difficulty understanding one of the most significant documents they are likely to encounter in the course of treatment – their dentist’s treatment plan. The treatment plans are presented based on ADA codes and abbreviated procedure names, not it layman terms you can understand. Unless someone in the clinic explains it thoroughly, it’s a struggle. 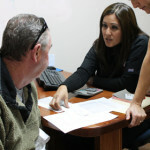 We want to help you take charge of your own dental care. So let’s start at the fundamentals – teeth numbers and names. Most of us know teeth based on names, such as molar, incisor, or wisdom tooth. At the dental clinic, human teeth are identified by their numbers. As shown in Fig. 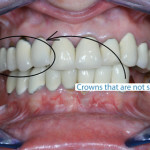 1 above, the ADA teeth numbering system treats the 32 permanent teeth in a clockwise fashion as seen by your dentist. Teeth numbers 1 – 16 are on the upper jaw. Teeth numbers 17 – 32 are in the lower jaw. As an example, teeth numbers 1, 16, 17, and 32 are your wisdom teeth. Teeth numbers 14 and 15 are your upper left molars. If you are getting cosmetic dentistry using veneers, you usually want to enhance the most visible part, teeth numbers 6 – 11 on the upper and 22 – 26 on the lower. For movie fans, vampires can extend their eye teeth (canines): 6, 11, 22 and 27. Looking at the accompanying teeth by numbers chart above (Figure 1), let’s outline their names. Remember, these teeth numbers chart is from the point of view of the dentist or someone looking at you. So just reverse it when you are feeling the tooth in your mouth. So that’s a handy guide for understanding teeth numbers in your treatment plan. In future posts we’ll be looking at, and demystifying, other aspects of a dental treatment plan that may be hard for the lay person to understand. Having difficulty understanding your treatment plan? Post your questions below.